Ayşegül Sarıca was born in Istanbul in 1935. She began learning piano from Ferdi Statzer at the Istanbul Municipal Conservatory. After finishing school, she went to Paris in 1951, and studied piano with Lucette Descaves and chamber music with Pierre Pasquier at the National Conservatory in Paris. After graduating conservatory in 1953, Sarıca worked with Marguerite Long. In 1959, Sarıca won the “Prix de la Ville de Paris” at the M. Long-Jacques Thibaud International Competition. 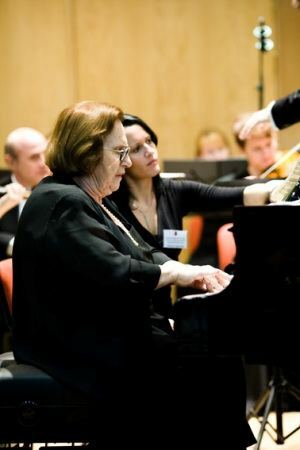 She has given many concerts with famous conductors such as Karel Ancerl, Pierre Dervaux, Anatole Fistoulari, Louis Fourestier, Gotthold Lessing and Heinz Walberg in many countries: England, France, Italy, Germany, Spain, Austria, Belgium, Russia, Poland, Rumania, Hungary, Czech Republic, Switzerland, Norway, Finland, Egypt, Tunis, Algeria, Iran, UAE, China, Japan, Taiwan, Singapore and Australia. 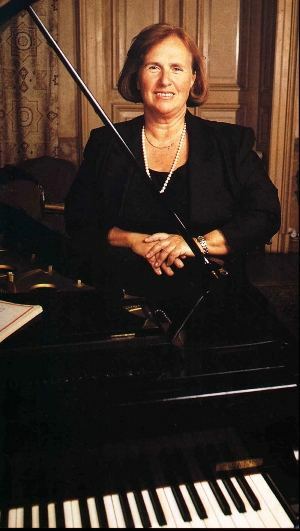 Since 1968, Sarıca has been a soloist of the Presidential Symphony Orchestra. She received the title of the State Artist in 1971. In 1974, she received the “Chevalier de I′Ordre des Arts et des Lettres” from the French Ministry of Culture. Sarıca has also given numerous recitals with many virtuosos such as Christian Ferras, Andre Navarra, Heinrich Schiff and Alexander Rudin. In 1991, Sarıca played Cemal Reşit Rey’s “Kâtibim” with the Hungarian State Symphony Orchestra, conducted by Hikmet Şimşek. It was recorded onto the disc. Among her CDs are: violin-piano sonatas of Grieg, Debussy and Frank (with violinist Ayla Erduran); Mozart’s Symphony No.15 and No.23 (with Ankara Chamber Orchestra, conducted by Gürer Aykal); Beethoven’s Concerto No.3 and No.4 (with the Presidential Symphony Orchestra) and Schumann’s Piano Concerto in A minor (with Bilkent Symphony Orchestra). In addition, her recitals were also recorded onto the disc, which is including Moments Musicaux series. Between 1991 and 2000, Sarıca taught master courses to students in the Faculty of Music and Stage Arts at Bilkent University. 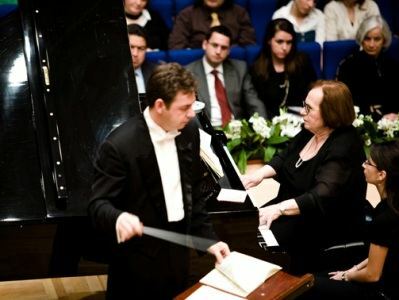 Since 1999, she has taught master and doctoral courses to students in the Institute of Advanced Research on Music at Istanbul Technical University. 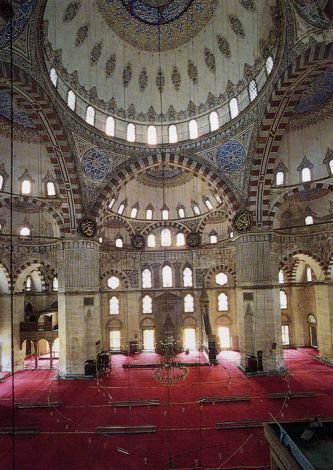 In 2006, Sarıca was awarded the “Merit of Honor" in music by the Istanbul Culture and Art Foundation. She has served as a jury member in numerous international piano contests.